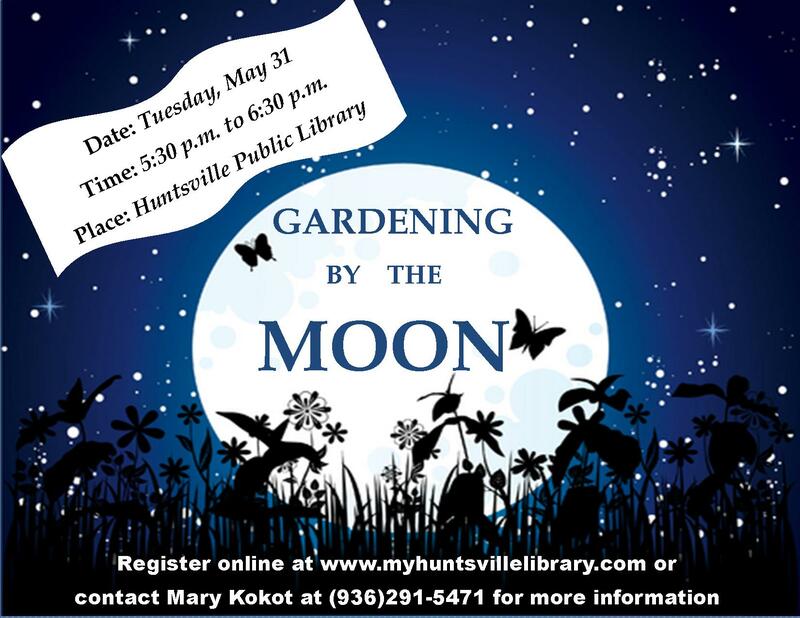 The Huntsville Public Library will be hosting Gardening by the Moon and Almanac with Otis Cunningham. The program will take place from 6:00 to 6:45 p.m. Tuesday, May 24, at the library. Cunningham will explain how to use the farmer's almanac and moon cycles to get the most out of gardening. A select few will receive an almanac from Cunningham. Register online at www.myhuntsvillelibrary.com. For more information call: 936-291-5471.